Pest Control for Yellowjackes in Phoenix AZ is needed when they build nests close to homes, recreational areas, and occupied buildings. 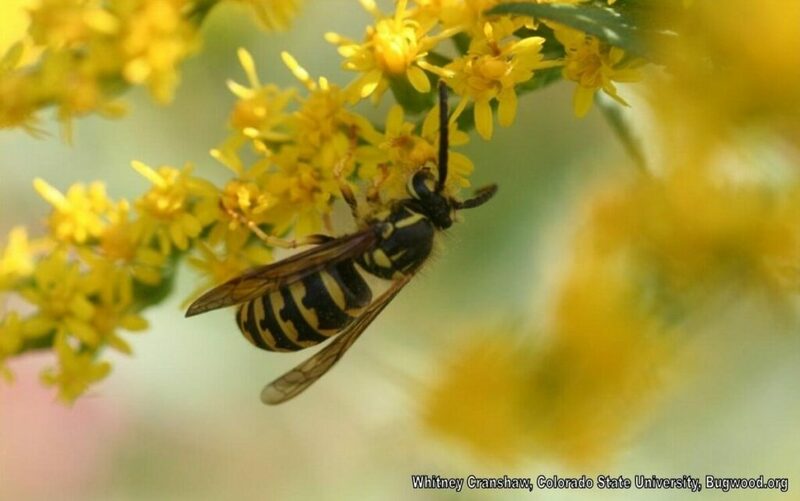 Yellowjackets are actually beneficial insects as they feed on other bugs, BUT when a nest is near an occupied area they pose a threat and need to be treated. Depending on the species of Yellowjacket they can build nests in structural VOIDS, hanging in bushes or trees, and in the ground. Workers are 3/8 – 5/8 of an inch long, and Queens are about 25% longer. Abdomen is usually black and yellow stripes, but can be black and white. DO NOT SEAL a Yellowjacket nest hole prior to pest control service… This complicates the treatment and depending on the nest location may drive Yellowjackets into the building! Pest Control for Yellowjackets should be done as late as possible when they’re all back in the nest. We DO NOT recommend trying to treat a Yellowjacket nest on your own. Protective equipment is required and should only be done by a professional. Schedule Online, or Call 602-334-4831. Delivering EFFECTIVE Pest Control in Mesa, Phoenix, Tempe, Gilbert, Scottsdale, Chandler, Queen Creek, Maricopa, Glendale, & the Greater Phoenix Valley.